All students receive direct instruction for forty-five minutes once a week. PE instruction includes: social development, movement skills & movement knowledge, self-image, personal development and health. 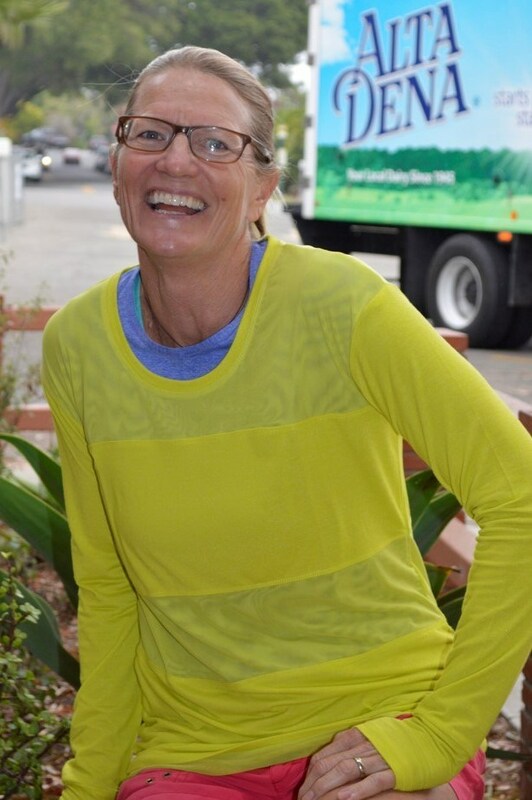 Meet our amazing Physical Education teacher, Julie Churchman, who has revolutionized our PE program. We wanted to find out how she's been able to shape this truly vital program for Adams. How has the Adams PE program evolved over the past few years? "Thanks in part to our VERY supportive PTA, our Physical Education program has expanded from a successful Running Club, to Bicycle Education for every student in K-6, and swim lessons for our 6th graders, which prepares them for their trip to Catalina Island Marine Institute (CIMI). Last year, students learned the skills to play all traditional playground games/sports, along with some not-so-traditional ones; hockey, bowling, team handball, tennis, and lacrosse. The focus of our PE program is lifelong fitness and health, and I encourage students to try new things and be the best that they can be during every class." Can you speak to the success of our biking program? "Six years ago, I discovered that many Adams students didn’t know how to ride a bike. The first year I teamed up with Mr. Garnand (5th grade teacher) to provide bikes & lessons for our 1st and 2nd graders. The following year, Adams partnered with Santa Barbara Bike Coalition and we were provided with bikes to use with our 3rd and 4th graders, as well as 10 Specialized mountain bikes for our 5th & 6th graders provided by CycleKids. In 2016, I attended the National Bike Summit and gave a presentation on K-6 Bicycle Education. Shortly thereafter, we received a full fleet of new bicycles from a generous donor, which allowed every student access to learning and improving their riding skills. Since then, the School District has used our bike program as a model for all other elementary schools in the district. To date, Adams is still the only school that has K-6 grade bike education." What new programs or equipment are you planning on introducing this year? "This year, I’m very excited about introducing 'new' full-size soccer goals for our lower field. Not only will students be able to use them during PE, but also during recess and after school. I'm also hoping to replenish our ball supply since they are always disappearing over the fence." What are your goals around expanding the PE program at Adams? "One way the PE program would be able to expand is to have parent/community volunteers help during PE. With volunteers, we would be able to have more stations during each class so that the students have more opportunities to practice essential skills. I do believe that our PE program is all encompassing - every lesson has a component of skill development/application, character building, health, fitness, and fun!"